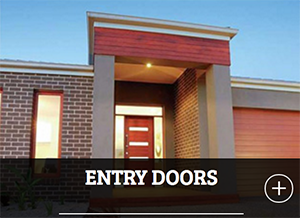 The Southern Star Group offers a number of door styles and options through all of our brands including Southern Star Aluminium Windows and Doors, Canterbury Timber Windows and Doors, and Big J Doors and Fixings. With so many choices, how can you decide which is best for your situation? We have compiled a handy list of door types and purposes to help the decision making process. Versatile, functional and available in a wide range of sizes and configurations, sliding doors offer a unique and clever solution for today’s modern style of alfresco living. 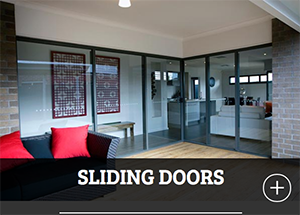 Sliding doors provide a space efficient way to streamline the flow between indoor and outdoor spaces. The single moving panel frame slides effortlessly open and closed, allowing easy access to alfresco areas. 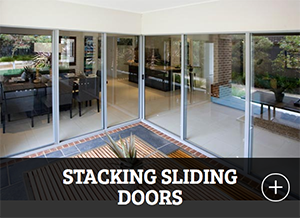 A stacking sliding door is perfect for indoor/outdoor living. With an opening 2/3 larger than normal sliding doors and offered in corner unit configurations, stacking sliding doors create large open space and seamless transition from inside to outside. Multiple moving frames operate similar to the sliding door, with a stacking ability that allows for the greater opening space. 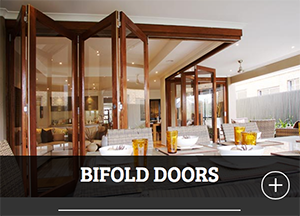 The perfect lifestyle solution for your alfresco living space, bifold doors combine design and functional excellence with stunning modern style. The hinged doors folding ability, which allows panels to be tucked away and sit flush with walls, assures maximum open space. The bifold door can be hinged on either side of the frame and comes in two through to ten panel options, also being offered in a corner unit configuration. 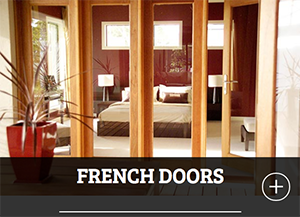 French doors are a great option if interior wall space is limited. Offering contemporary styling, our French doors are an elegant and practical way to open up your living area and allow wide access to a courtyard, garden or patio. French doors can be supplied in open in or open out configuration to meet specific requirements and are available in a variety of options. Designed to suit today’s varying architectural styles, entry doors will make a lasting first impression for any home. An entry door can compliment and set the tone and character of a home, whether grand and imposing, warm and inviting, or sleek and sophisticated. Entry doors perfectly accentuate facades and provide a welcoming greeting. 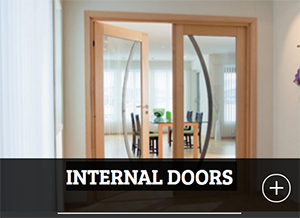 Internal doors are an integral part of the internal design of a home and allow for privacy and zoning of areas. Choosing a style that will compliment the décor pulls the entire interior design together, creating a stylish and comfortable home. Contemporary and traditional internal door collections are offered and are as beautiful as they are unique and functional.